A local university student whose debut book on mental health has been praised by critics is getting her teeth into a second release. Natalie Roberts has been commended for her first offering, Write Through Depression, a resource for anyone wanting to control mental health issues by keeping a journal and diarising their day-to-day struggle. The 33 year-old, from Wrexham, cites beauty, lifestyle, parenting, dentistry and health and social care as the subjects she loves to explore, and is currently working on her second book, entitled Mouth Care: An Essential Guide for Carers. 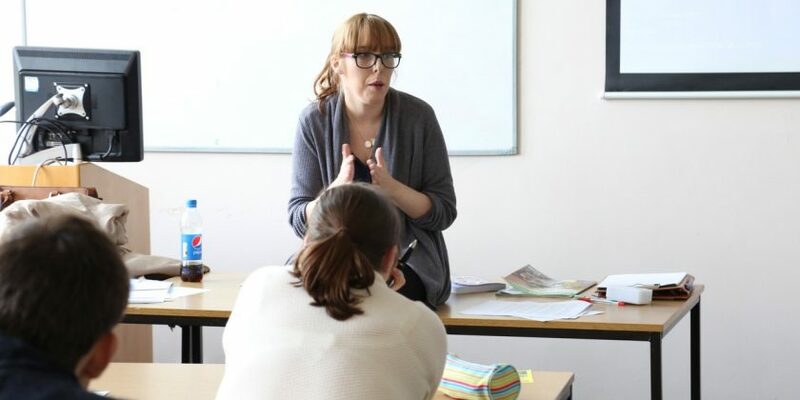 Despite juggling family life and her literary career with a degree in Mental Health and Wellbeing at Wrexham Glyndwr University, Natalie found time to deliver workshops for fellow students last year, and plans further literary editions having now signed a deal with Jessica Kingsley Publishers. “I found writing was the best way for me to deal with depression, when I’ve been through dark times in my life,” said Natalie. “The reaction was amazing as so many people seemed to understand where I was coming from and had themselves used writing as a release, a way to show their emotions. Mouth Care is specifically aimed at professional and non-professional carers in the dental industry and will be available to pre-order on Amazon. She plans more work around a variety of subjects, but says raising awareness of mental health issues is her number one priority when it comes to the written word. “I found that, especially when meeting and speaking with students and people who have experienced mental health issues, laying things down on paper can help a lot,” added Natalie. “It is an escape and resonates because it allows them to pour out their problems on the page. Wrexham Glyndwr University unveiled three new degrees this year, targeting the crisis in mental health and social care. The DipHE Contemporary Health Studies, BSc Health and Wellbeing, and BSc Mental Health and Wellbeing have proven popular, and are recruiting for 2018/19. For more information, visit www.glyndwr.ac.uk or come to the University’s next open day on March 4 from 10am-2pm. Read 1,258,709 times in last 30 days, and 73,813,008 times since we started in 2011.